Two members of the Putnam Sheriff’s Department on patrol at Oregon Corners in Putnam Valley recalled a hot line message received earlier in their shift last Monday, regarding a vehicle wanted in connection with an attempted kidnapping in Bedford hour… Please login below or purchase a subscription to the Putnam County Courier to access this content. 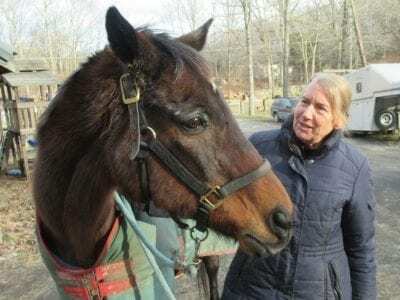 Whispering Pine Nursery, located on Route 6, at the Mahopac-Somers border for decades, finds itself in the midst of community uproar over its landscaping venue. Whispering Pine Garden Center and Whispering Pine Landscape share the property and while … Please login below or purchase a subscription to the Putnam County Courier to access this content. Joseph Castellano and Toni Addonizio will lead the Putnam Legislature in 2019. Photo By Eric Gross The Putnam Legislature conducted its annual organizational meeting last Tuesday evening before a sparse audience at the historic Putnam Courthouse. … Please login below or purchase a subscription to the Putnam County Courier to access this content. Patti Lawlor and Peggy Zambraski, Brewster inseparable twins, will be retiring this June from the Brewster School District. Photo By Jennifer GaryTwins Peggy Zambraski and Patti Lawlor are inseparable. The Brewster residents, who relocated from the B… Please login below or purchase a subscription to the Putnam County Courier to access this content. LCFD President William Walters congratulates the department’s chiefs for 2019–TJ Donohue, Justyn Lewis and Ken Lauzinger. 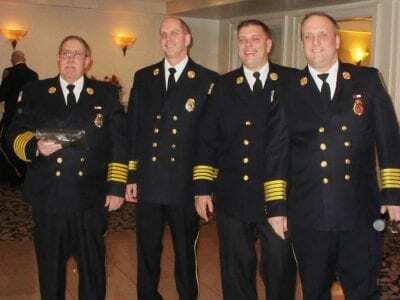 Photo By Erin ScottThe Lake Carmel Fire Department held its annual installation Dinner Saturday evening in Hopewell Junction be… Please login below or purchase a subscription to the Putnam County Courier to access this content. Smoke detectors save lives and effective April 1, homeowners and landlords will be required to exchange current smoke detectors for upgraded 10 year sealed models when they purchase new devices. The New York State Legislature approved the legislation… Please login below or purchase a subscription to the Putnam County Courier to access this content. 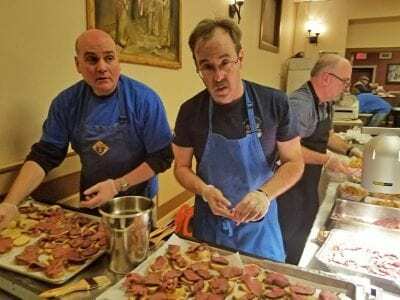 Robert Firriolo and Michael McDonald, Jimmy O’Neill’s brother-in-law, prepare steak served Saturday at the benefit Beefsteak Dinner. Photo By Brendan McdonnellJimmy O’Neill, founder of the Putnam Chapter of the Fraternal Order of Police, who died sud… Please login below or purchase a subscription to the Putnam County Courier to access this content. The 3rd Annual Brewster Music Festival will kick off summer on June 8, from 12-6 PM at Wells Park at 98 Oak Street in Brewster. The rain date is June 9. This free family-friendly event includes live performances by local bands and artists, children’s… Please login below or purchase a subscription to the Putnam County Courier to access this content.